Some might lead you to believe “SEO is dead.” Google that search term and what comes back in return is over 800,000 search results. However, just because SEO has changed drastically over the past decade doesn’t mean it is dead, it simply means it has changed. Businesses now have to take new and unique approaches to SEO to win the never-ending game in SERPs. Many bootstrap companies and blogs build their entire business from the beginning off of organic search. 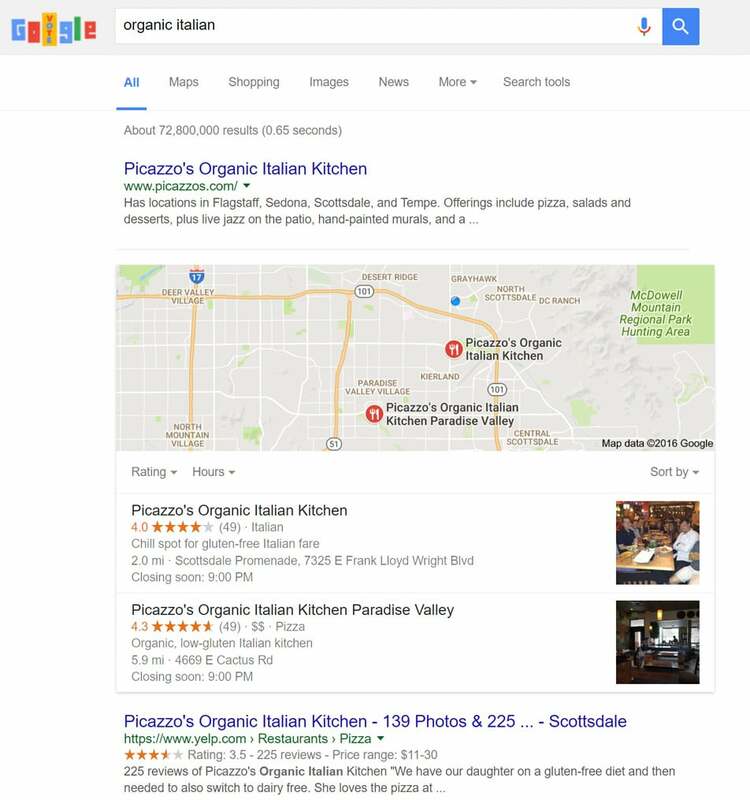 While this may be risky, it still is a sign that organic search is alive and well. 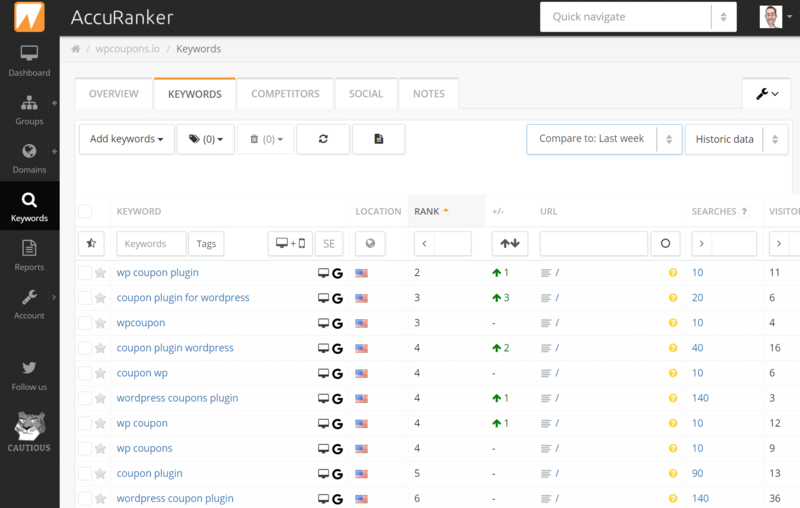 In this in-depth post we are going to share with you 45+ WordPress SEO tips to help skyrocket your traffic and hopefully help you dominate your competition. SEO, or search engine optimization, is the methods and or strategies used to rank a website and content higher in search engines such as Google, Bing, and Yahoo, to result in more organic traffic. There are really two sides to SEO, the first is the technical part of it and the second can sometimes be more of a natural branding play among online businesses. Coming out on top with SEO depends on delivering a high-quality website experience with awesome content. For businesses, this winning play comes with following the basic ingredients of WordPress SEO best-practices. Check out these 45+ WordPress SEO tips and frequently asked questions for the upcoming 2017 year to help you achieve better results in SERPs (search engine ranking positions). And make sure to bookmark this post as we will be constantly updating it! In Google Search Console you can set your preferred domain to appear in Google as www or non-www. We recommend setting this option, however if you are running a WordPress plugin such as Yoast SEO (which we will go into more below) this is not technically required as the plugin automatically adds canonical tags to let Google know which version to index. 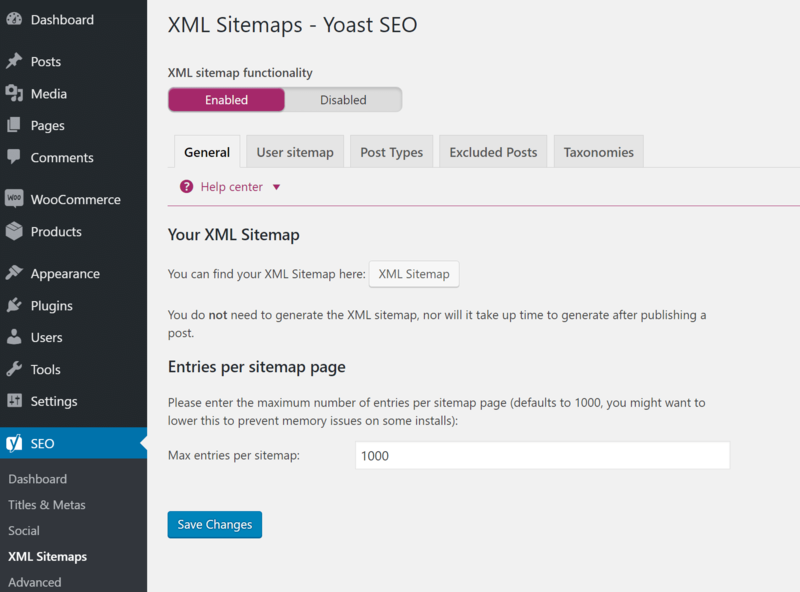 The Yoast SEO plugin allows you to write better content with page and keyword analysis, automatically generate XML sitemaps, enable breadcrumbs, add social and schema markup, as well as a multitude of other optimizations. As of writing this it has over 1 million installs with a 4.6 out of 5 star rating. You can download their free WordPress plugin from the WordPress repository or follow the steps below to install it from within your WordPress dashboard. When it comes to WordPress SEO, it is important to remember that Google is still a computer algorithm, and that is why keywords still matter in 2016 and 2017. You definitely should be writing for your visitors and customers as Google recommends, but write smart. You can easily write for your audience as well as keeping the best SEO optimizations in mind. And remember, other search engines such as Bing and Yahoo rely sometimes even more on what some may call outdated SEO practices. 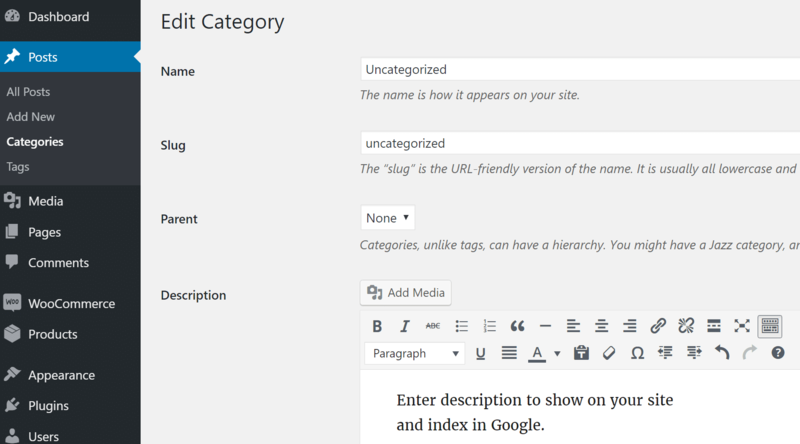 It is important that you have your main “focus keyword” that you want to rank for in your blog post or page title tag. Brian Dean, an SEO expert recommends to even place your keyword at the beginning of the title if possible as this will have more weight in search engines. For example, the title of this blog post is “WordPress SEO Checklist – 50 Tips for 2017.” We are placing our keyword, “WordPress SEO” at the very beginning. This might not always be possible, but can help give you a little boost. Meta descriptions have no effect on your WordPress SEO when it comes to rankings. However, meta descriptions do affect your CTR. A better-written meta description can entice the user to click on your post instead of the one above or below it in SERPs. 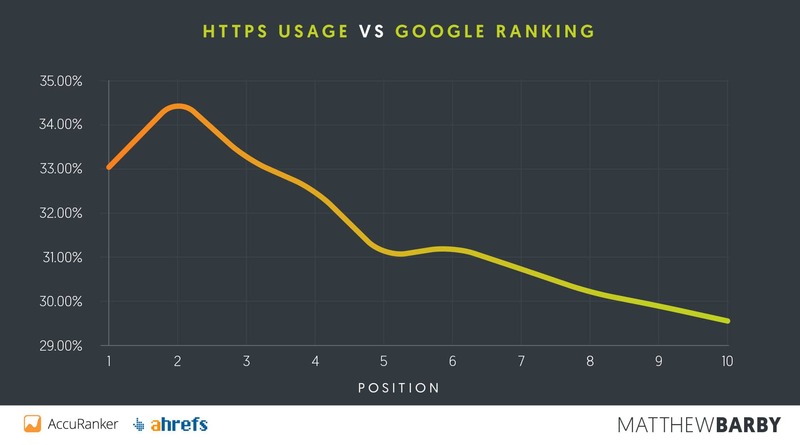 And it has been said, the higher CTR you have, the more relevant Google will deem your data, and rank you higher. So in a sense, meta descriptions could effect your rankings. But not in the traditional sense. 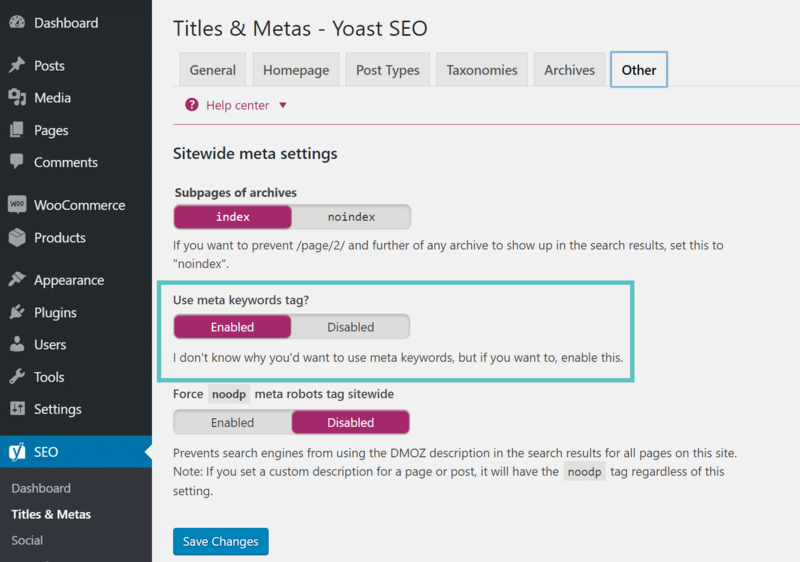 You can set your meta description manually in the Yoast SEO plugin. Remember that there is a limit in Google of 156 characters. Anything over that might not be visible in SERPs. They are really limited by pixels now, but Yoast SEO uses characters which is a close approximation. Also, it is good to include your focus keyword in your meta description because Google will highlight the search term in bold. For example, say we searched for “coolest car” in Google. KBB happens to have a post with “coolest car” in the meta description and so Google bolds this keyword as it is relevant to your search term. So by including your focus keyword in your meta description you can stand out a little bit more. 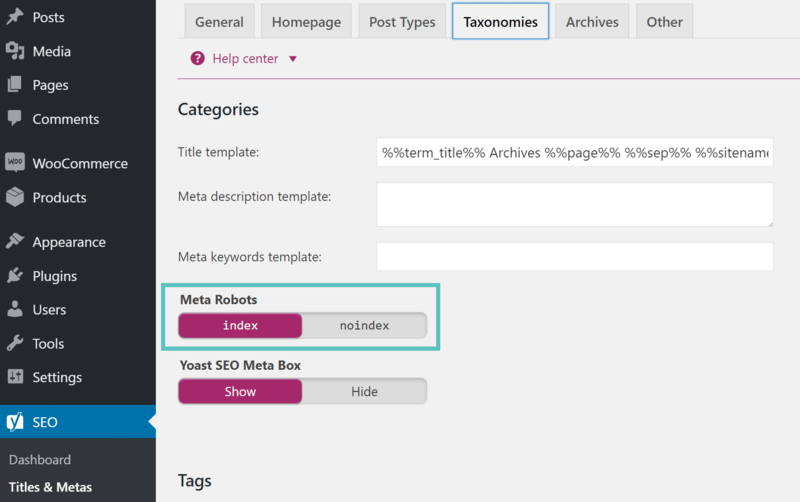 If you want to add meta keywords to your WordPress site posts and pages you can enable it in the Yoast SEO plugin by following the steps below. 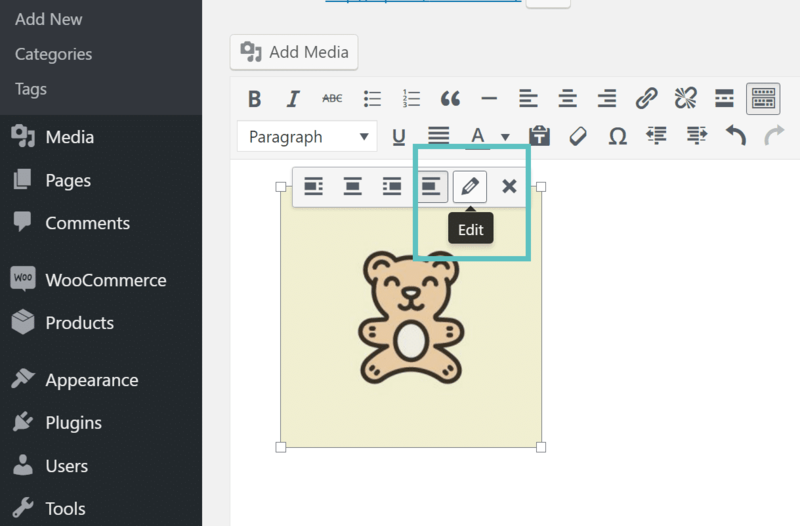 ALT tags refer to the ALT attribute or alternative text that is applied on images on your WordPress site. 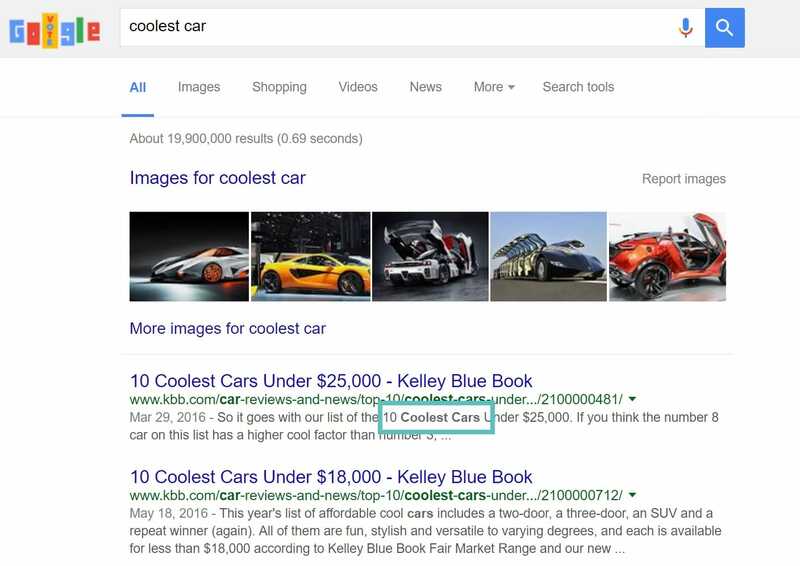 ALT tags are used by Google to see how relevant your image is to the content around it. They are also used by screen readers for visually impaired people. For example, if someone was using the Dragon NaturallySpeaking software, ALT tags can actually help them navigate the page better. You should always add ALT tags to your images. And if you haven’t been, go back and do it now. Fortunately, with WordPress you don’t need to know any code to add the ALT tag, you can simply add them upon uploading images to the media library or by clicking on an image within the visual editor. Follow the steps below to quickly add an ALT tag to an existing image. You can then enter in your ALT tag description in the “Alternative Text” field. Usually, it is beneficial to add your focus keyword if it is applicable for the image. However, don’t just add your focus keyword as an ALT tag across all of your images. As with all things SEO, do things in moderation. Google doesn’t like spamming. Image title tags aren’t used for WordPress SEO purposes and are not crawled by Google or Bing, and therefore you are not required to use them. See example of what a title tag looks like below. 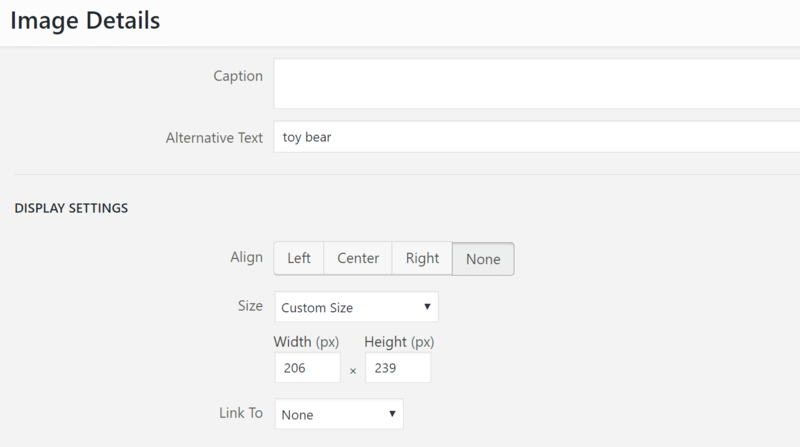 However, title tags do allow you to add tooltips to images. This can be a great way to simply add a little CTA when someone hovers over it. So while they aren’t technically going to help you rank better, it can help add to the user experience. Just like with ALT tags you don’t need to know any code to add the title tag, you can simply add them upon uploading images to the media library or by clicking on an image within the visual editor. Follow the steps below to quickly add a title tag to an existing image. You can then enter in your title tag description in the “Image Title Attribute” field under the advanced options. You can then see the title tag in action as a tooltip if you hover over your image. 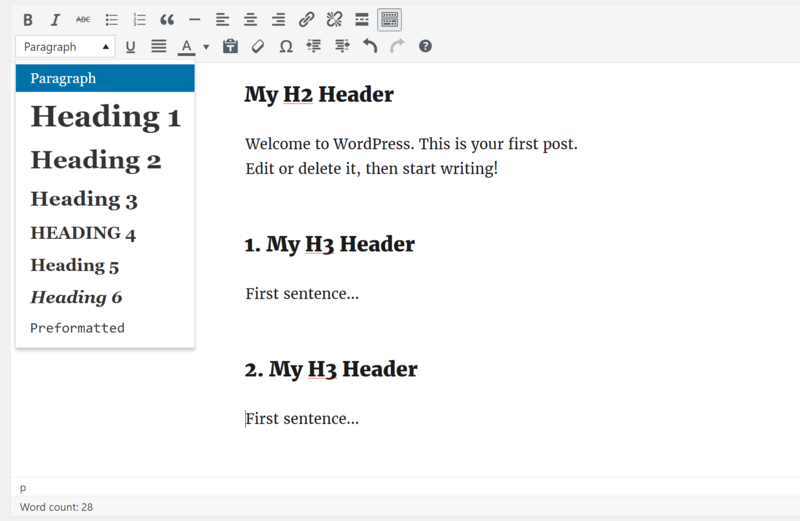 The first paragraph of your post and pages content in WordPress is very important! It is always recommended to add your focus keyword within the first paragraph if possible. The reason is because Google crawls content from top to bottom, and if it finds your keyword there it can help deem your article as more relevant to the topic. 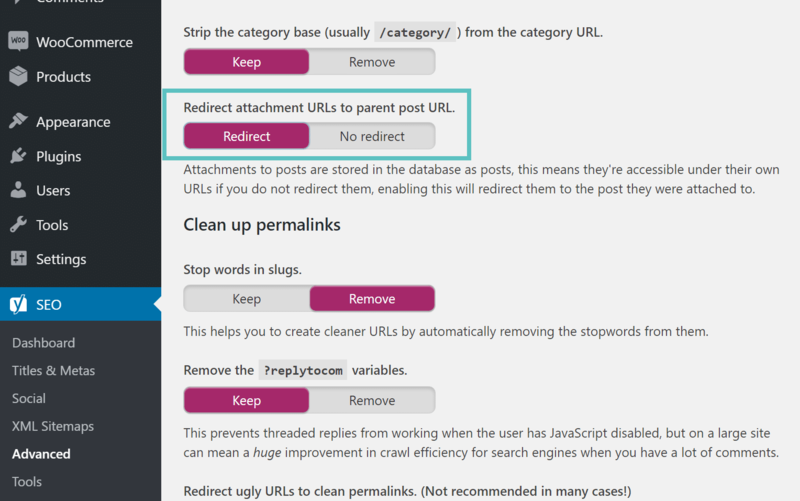 The Yoast SEO plugin even has a check for this to ensure you are keeping up with this best practice. The old saying “Content is King” is still alive and well. Google and visitors love high-quality content. It is generally much better to publish higher-quality and longer-form content than it is to publish shorter content more frequently. This can vary of course. If you are news site, this might actually be the opposite. 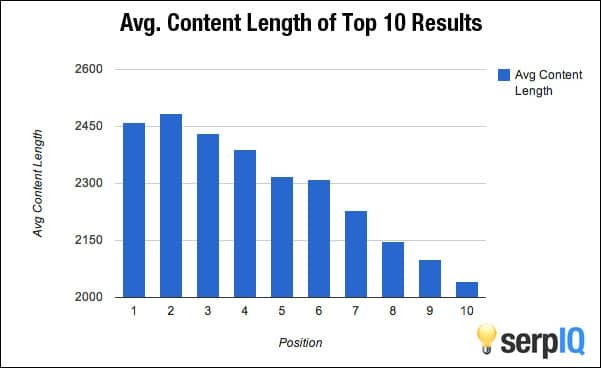 But long-form content has time and time again proven to win in SERPs. Back in 2012, serpIQ published some statistics on the importance of content-length. 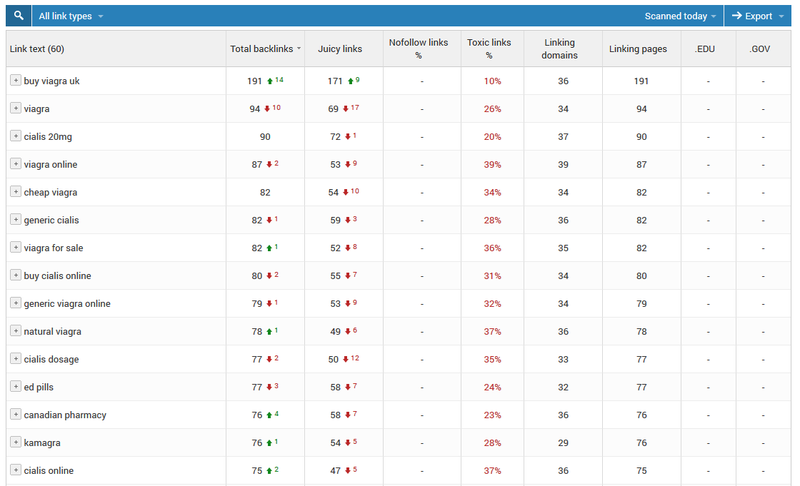 As you can see the websites holding the top positions have a lot more content. And while the above graph is over 4 years old the same still applies today. Not much has changed when it comes to content and length. Neil Patel, a popular internet marketer, has a great post from 2016 on how long-form content can help boost your rankings. And you can probably tell that we have seen the same results here at Kinsta, otherwise we wouldn’t spend this much time publishing content this long! Nofollow links tell Google that they should not pass any link juice and that they should simply be ignored. That is not to say nofollow links aren’t important though. Remember that nofollow links can still generate traffic, even if they don’t pass link juice. For example, the link on your Twitter profile is nofollow as seen below. However, this link can still generate a lot of traffic and therefore is still important. 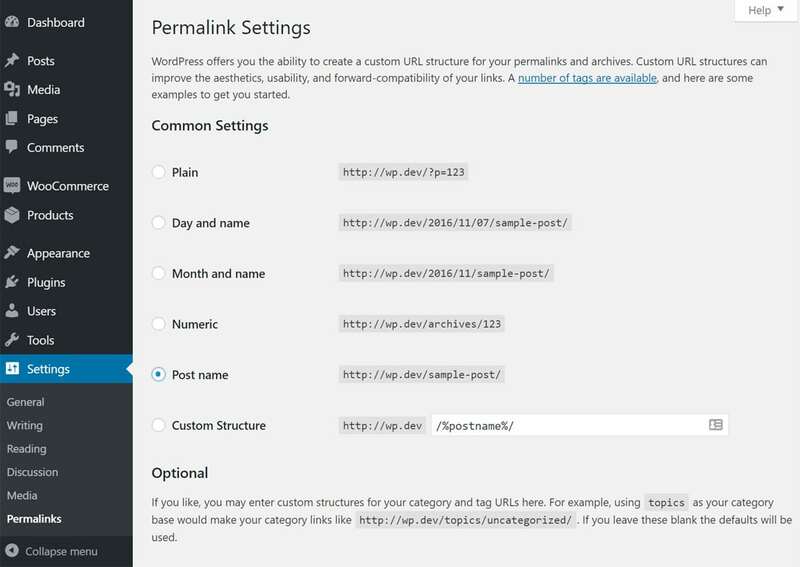 Interlinks are links that point from one page or post on your WordPress site to another page or post on the same site. Usually this is when you are referring other content you have written or possibly you are linking to your own landing page. 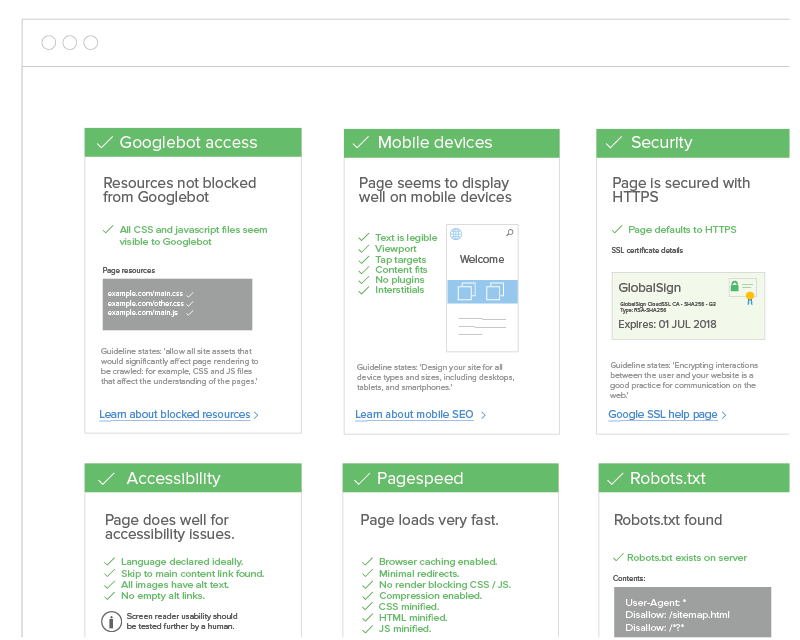 Moz has a great article on why internal links are important. Just like adding interlinks above, you should also add some external links to high domain authority sites. This helps your WordPress SEO by letting Google know that you are linking out to high quality content that is relevant to yours and improves the user experience by providing them with additional information. A lot of WordPress bloggers and even some businesses use affiliate links on their websites. Affiliate links are generally used when you want to track a commission or referral of a product or signup between websites. The bad thing is though that Google usually frowns upon affiliate links. Some sites have even got penalized for having a lot of affiliate links. To safely use affiliate links, they should always be nofollow. A great way to keep track of your affiliate links and always make sure they are nofollow is to use an affiliate plugin such as Pretty Links. Pretty Links allows you to create easy and short affiliate links which are always nofollow and also redirect with a 301. 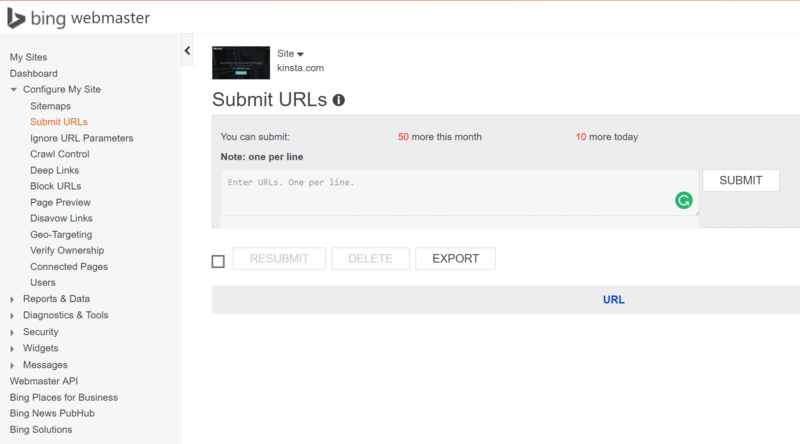 For example, a link might be https://kinsta.com/blog/. 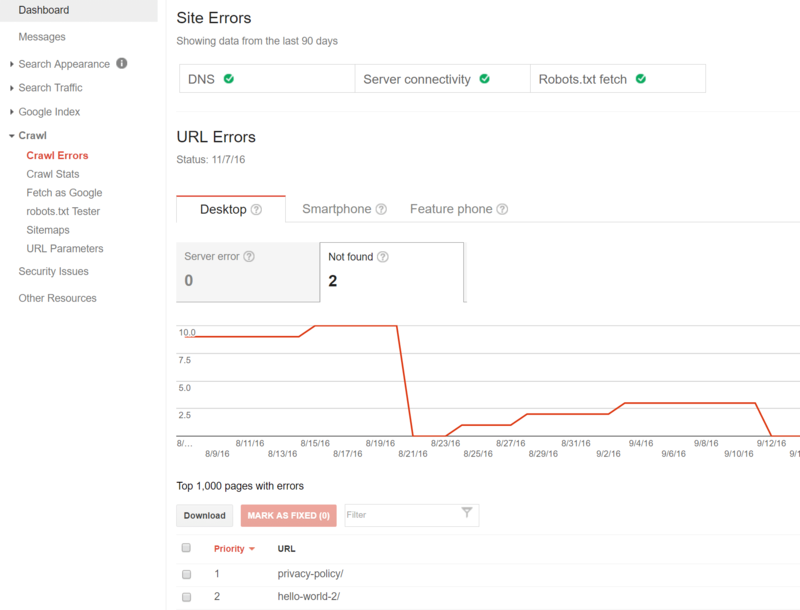 This links redirects internally so that you can access reporting data on how many clicks are done on each link. To force crawl a WordPress post or page simply click into the “Fetch as Google” option under Crawl in Google Search Console and input the URL. 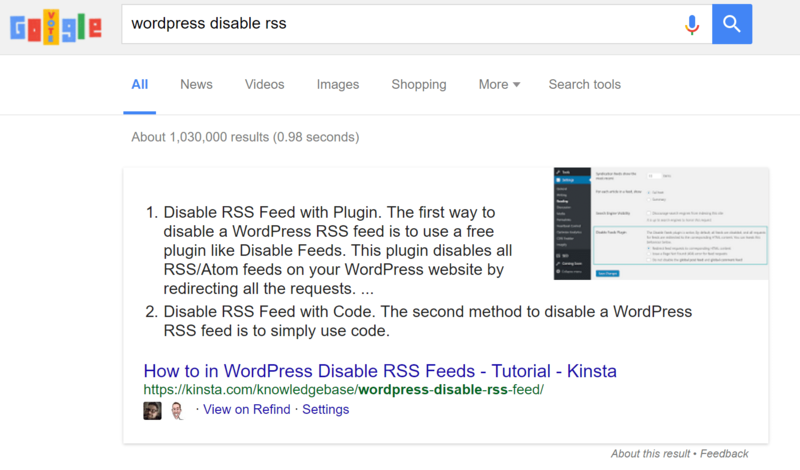 Click on “Fetch” and your URL will be instantly indexed in SERPs. Do social signals help your WordPress SEO? Such as tweets, shares, upvote sites, etc. The answer unfortunately is not black or white. However, we have seen first hand that they can temporarily affect your rankings in SERPs. We have noticed this from both Reddit and Y Combinator. In the past we have seen posts trending on these sites immediately start ranking on page one of Google. After the trending stops, the rankings tend to fluctuate and the post settles down to where it actually is going to rank more long term. So what causes this to happen? Our theory is that because of the mass amount of traffic and social signals combined that Google deems this page as very relevant and so it bumps it up in SERPs. Keywords are still alive and well in 2016 and they will be in 2017. That is why ranking matters. Remember as we mentioned before, Google is still a computer algorithm. 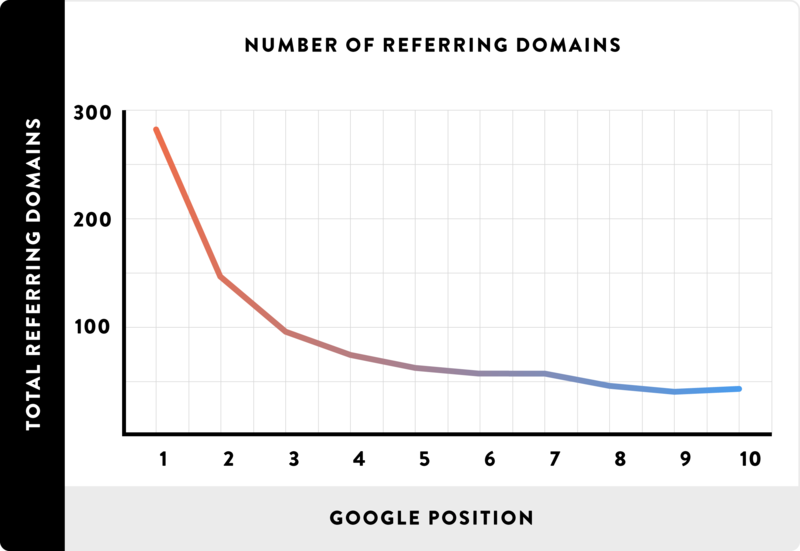 It has to look at something to calculate rankings, and keywords are still a big part of that. This is an example of a client’s site that was started back in October 2015. 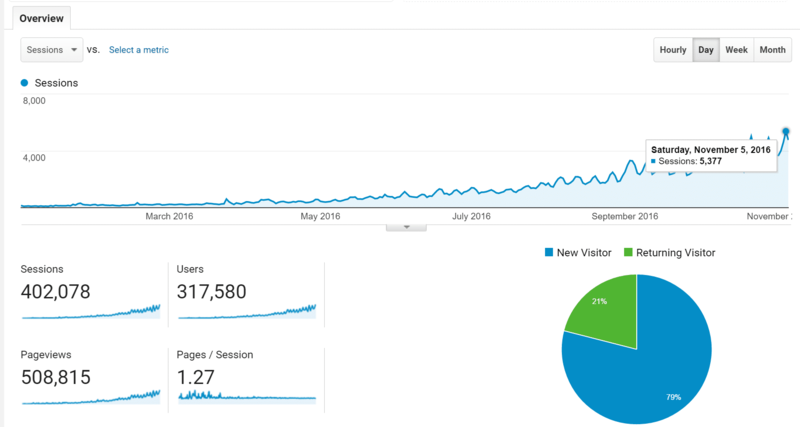 In under one year they grew their website in to a property that now gets over 120,000 visitors a month, and 95% of the traffic is organic. And the awesome part is they only spent 2-3 hours per week on it. How did they do it? They found a good niche and did strategic keyword research. And don’t forget about multilingual SEO! Keywords in other languages are sometimes a lot less competitive. The English market is very saturated when it comes to content marketing and SERPs. For example, in English we look up the term “marketing strategies.” We can see that it has a volume of around 40,000 search per month. And it is going to be hard to rank for. If you look at SERPs, you are instantly going against huge domains with high domain authority. If you are smart, you probably wouldn’t try to tackle this keyword. A little tip: Help share the content when people link to you. This helps build social signals for them on that page which in turn can help build up their page authority. And you want higher page authority links. So in a sense you can help yourself by sharing third party’s content that have taken the time to link to you. You have probably heard the crazy term “schema markup” or “structured markup” being thrown around the web. Schema markup is basically additional code that helps search engines such as Google deliver more and better data to visitors. Ever seen those stars next to a review in SERPs? Well, the stars are a result of schema markup. Schema markup means you can achieve special spots in SERPs as well as a dramatic increase in CTR. 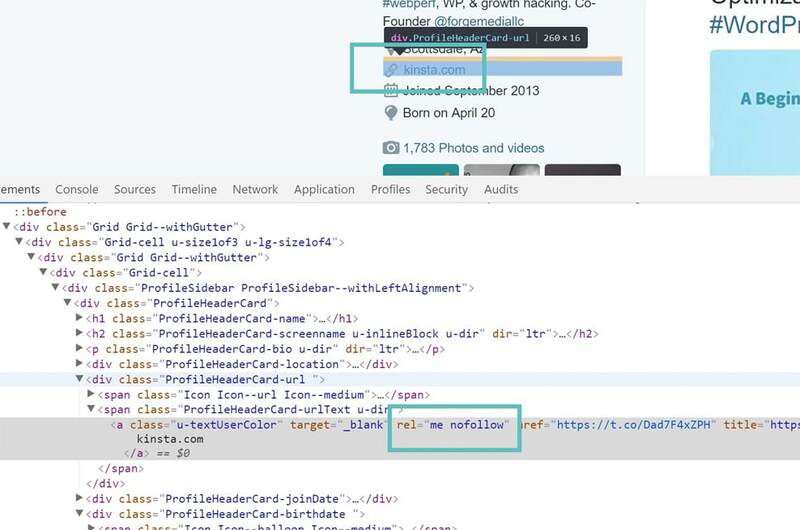 Similiar to schema markup, there is also social markup. You know those thumbnails that appear on Facebook and Twitter when you share a blog post from your WordPress site? Well, those are generated using social markup. 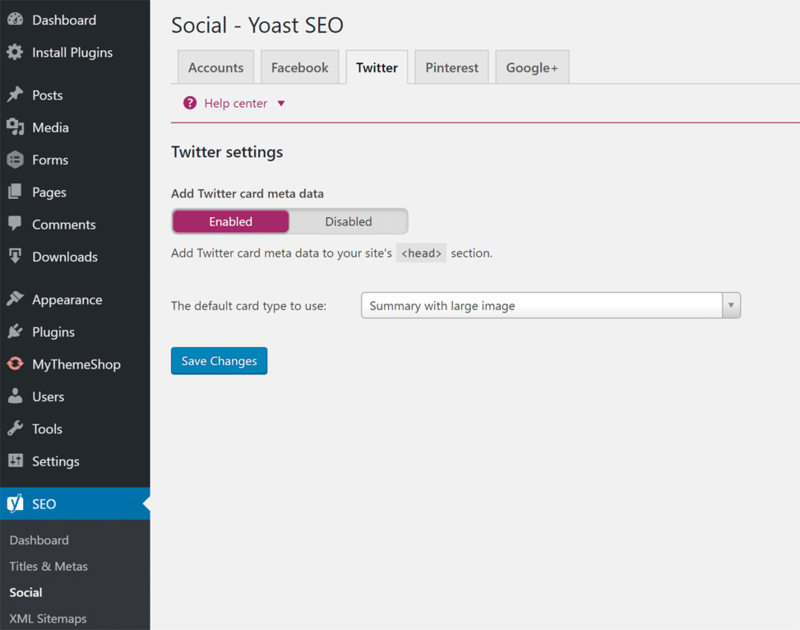 Fortunately, again the Yoast SEO plugin comes to the rescue. 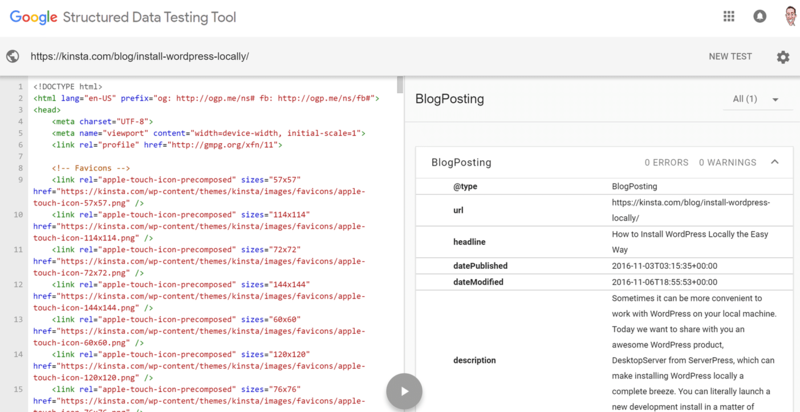 This plugin adds the necessary social markup for you. 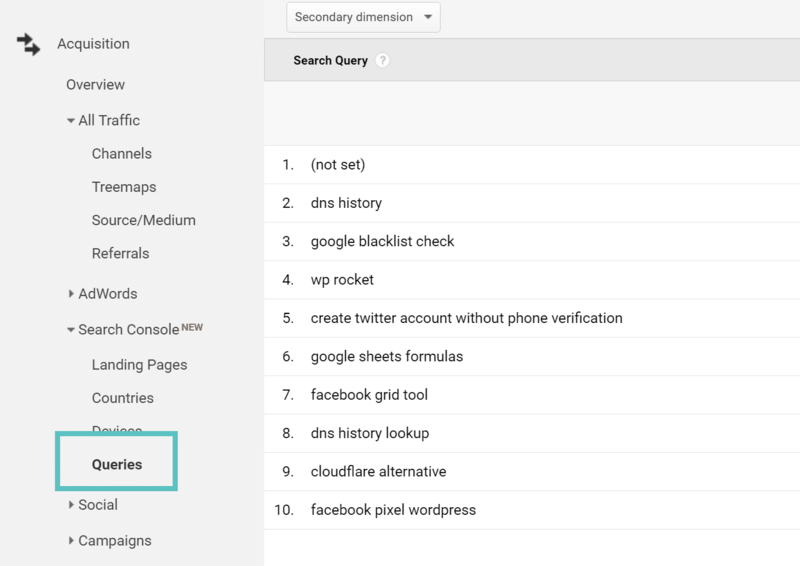 While it is unknown how much these affect WordPress SEO, it never hurts to let Google know just which social media profiles are connected with your brand. This is a controversial topic for some, and that is should you remove the dates on your WordPress posts or change them to “Last Updated?” It really depends on the type of site that you run. If you have a lot of evergreen content then yes, you might want to change the dates to last updated. We actually use last updated on our blogs here at Kinsta because we spend many hours updating old content. 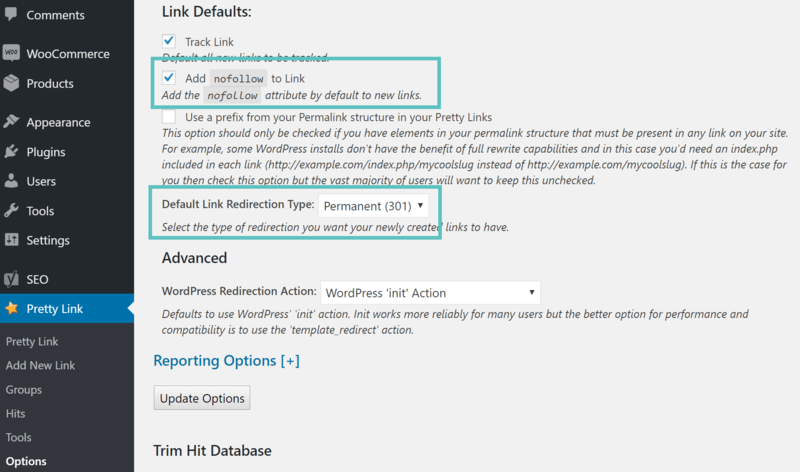 Follow the steps below to implement this on your WordPress site. Evergreen content can be very important when it comes to WordPress SEO and long term organic traffic. Evergreen means that it is content that is generally always relevant no matter when you read it. Usually when it comes to publishing evergreen content it requires the writer to occasionally update it as most industries always change slightly over time. See some proof about the power of evergreen content. Another advantage of evergreen content is that you can share it over and over again and keep building up backlinks and social signals against it. If you have the choice of publishing evergreen content vs news, you should definitely go for the long term play! At first this doesn’t seem fair as you can’t stop someone from sending a bad backlink against you. So if this does happen to you, Google has what they call the Disavow tool. This allows you to create a list of domains that you want Google to ignore. So at least there is a way to protect yourself. 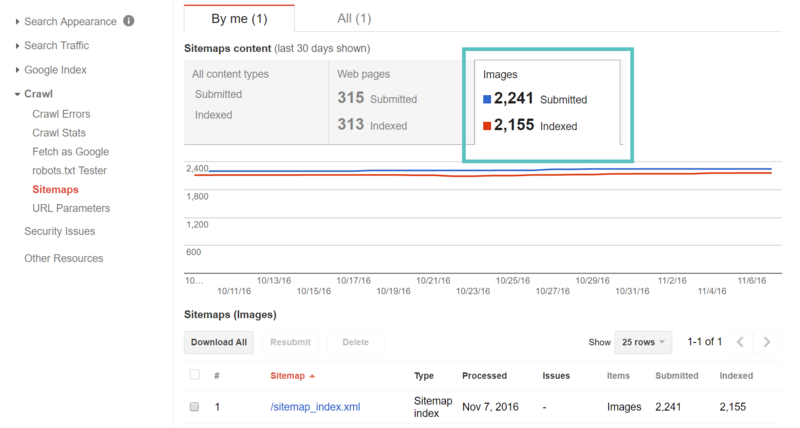 And if you have a CDN you might also want to check out this article on CDN SEO and indexing images. Adding additional languages to your site can be a huge game changer when it comes to WordPress SEO and traffic. 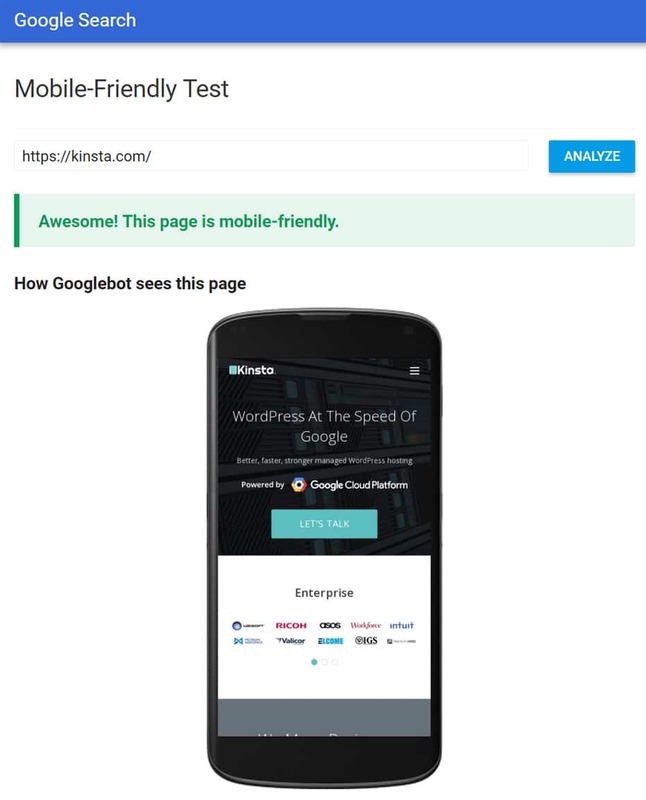 Neil Patel experimented with this and saw a 47% increase in traffic after translating his site into 82 languages. Of course this won’t work for everyone and it depends on your business and geographical location, but definitely something to think about it. When it comes to actually implementing this on your WordPress website, Google won’t ding you for duplicate content as long as you have the correct hreflang and canonical tags installed. In the following example, these tags basically tell Google that the English version is the original and that this is a secondary version only in Spanish. 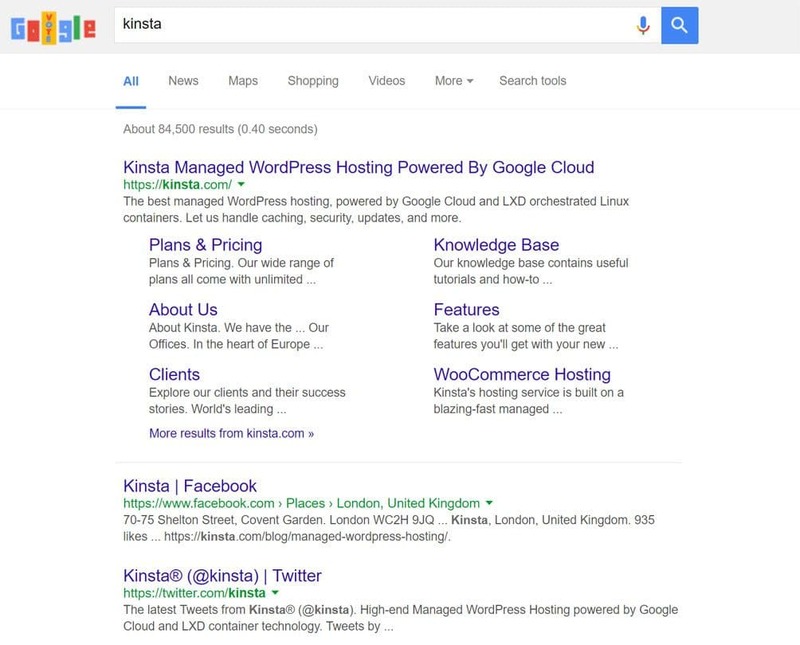 A couple ways you can easily fix this is to first of all use a fast managed WordPress host such as Kinsta, implement a CDN, and optimize your site accordingly. 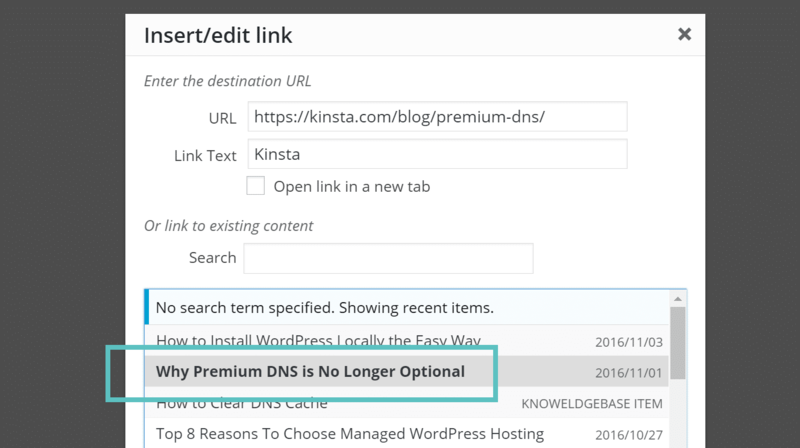 There are broken link plugins for WordPress, however, we don’t recommend these as they will hurt the performance of your site. 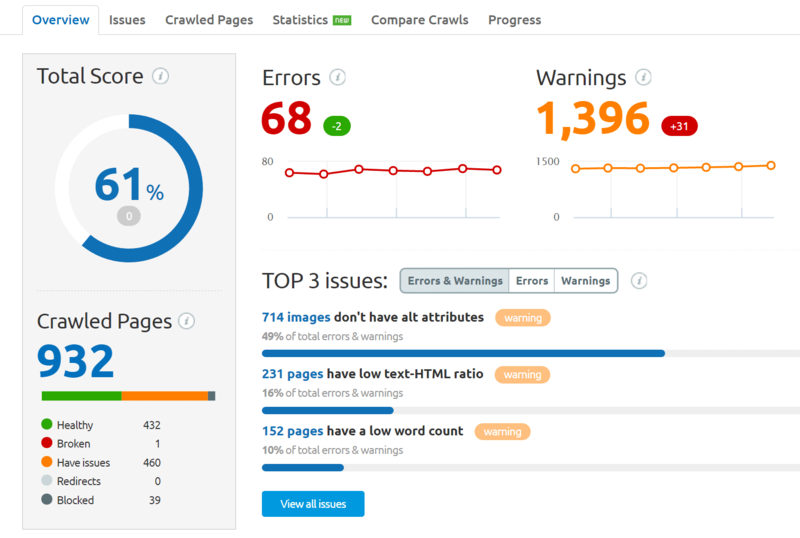 If you want to scan your site for broken links it is better to do a one time scan with a free online took like Online Broken Link Checkeror use a site audit tool as we will go into more below. Another option is to implement Google AMP, which is an open framework which allows websites to build light-weight webpages. The best way to know how well your WordPress SEO is working over time is to setup a free account with Google Analytics. 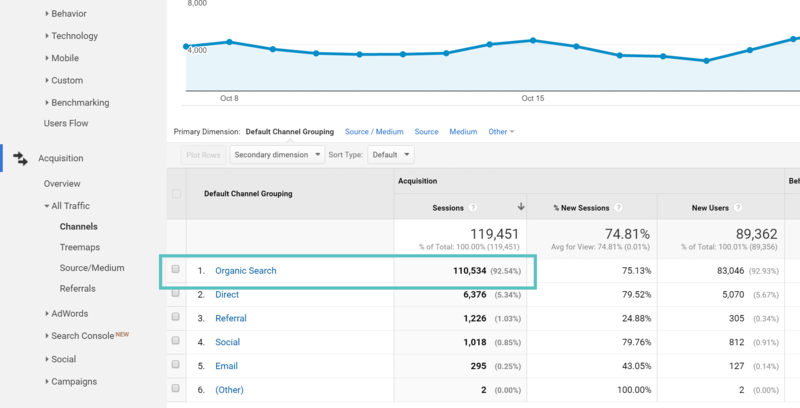 One of the very first things you should do is link your Google Analytics account with your Google Search Console account. Under property settings for your domain click into Search Console Settings and it will walk you through the process of linking them up. As you can see there are a lot of WordPress SEO factors to consider when running your WordPress site. It definitely can be overwhelming if you are just starting out, especially because not everything with SEO is black and white. Hopefully the checklist and tips above help get you further along! Did we miss any important tips or perhaps you have questions? If so, let us know below.